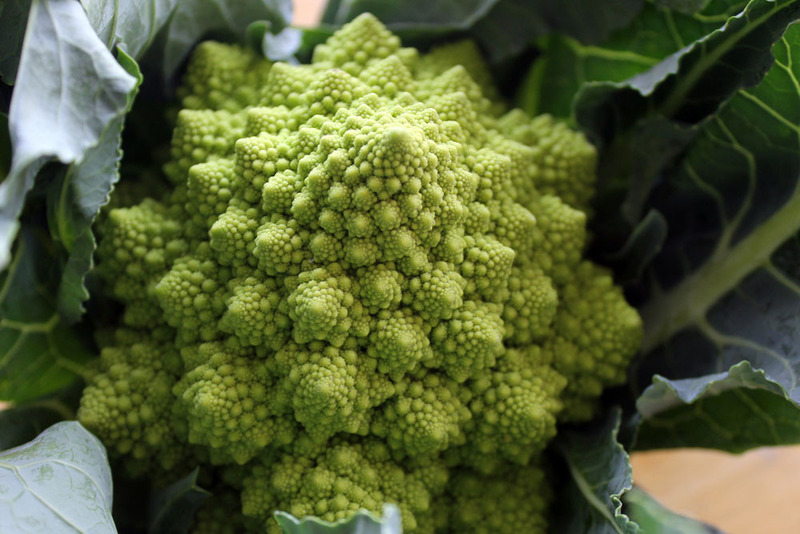 This week’s CSA food box featured a vegetable that we had never seen or heard of before – Romanesco. 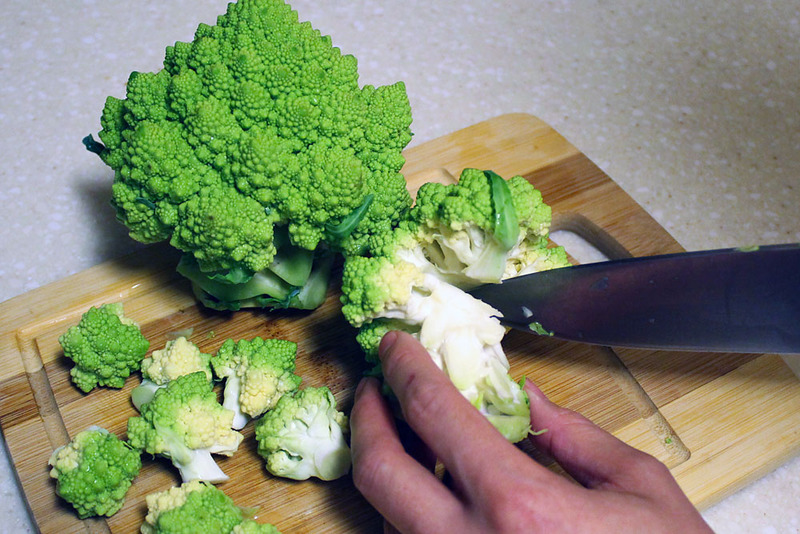 It’s in the same family as broccoli and cauliflower, and you can definitely see the resemblance. Looking closer, you can see the fascinating fractal structure where the spirals are made up of smaller spirals which are themselves made up of even smaller spirals. 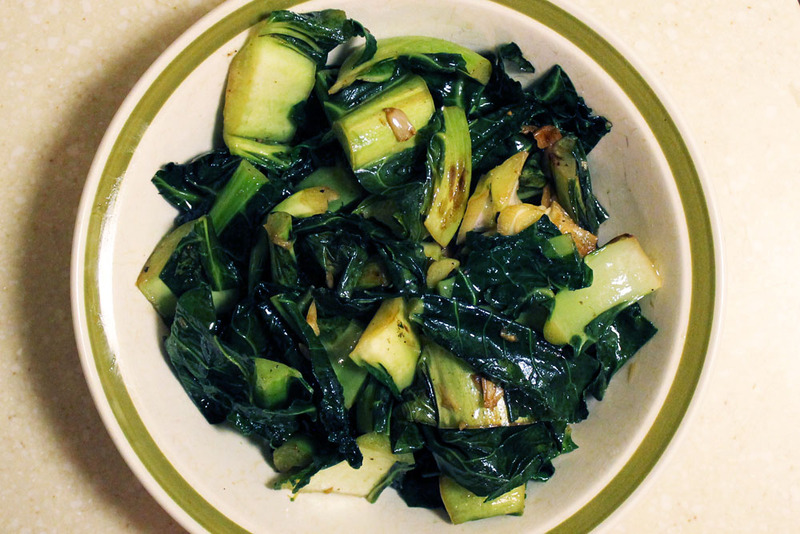 After looking online for recipes, we decided to keep it simple: roast the florets and sauté the greens and stems. The head cuts apart very easily by cutting the florets from the stem from the bottom up. We tossed the florets in olive oil and Cajun seasoning (Tony Chachere’s) and then roasted them at 400°F for 20 minutes. We sautéed the greens and stems in olive oil and garlic with salt and pepper, adding a small amount of water and covering for about 5 minutes to steam them. Here are the final results! 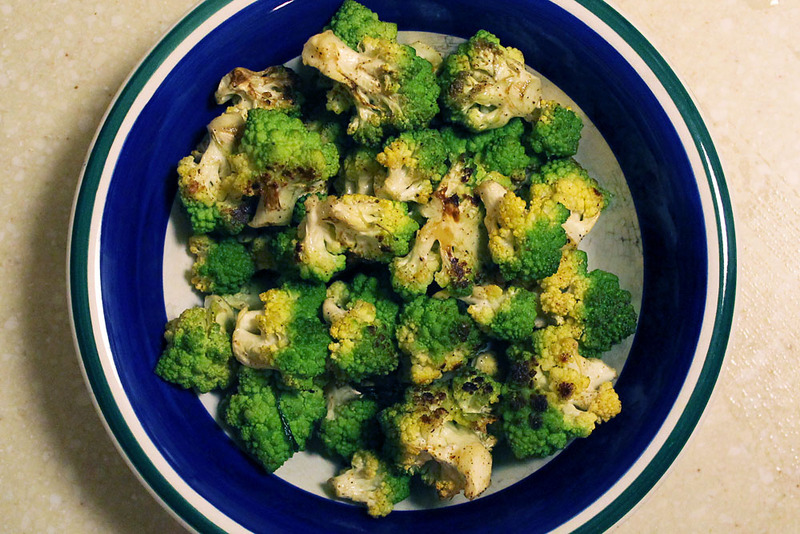 The Romanesco is crunchy and looks like broccoli but tastes more similar to cauliflower and has a bit of a nutty flavor. 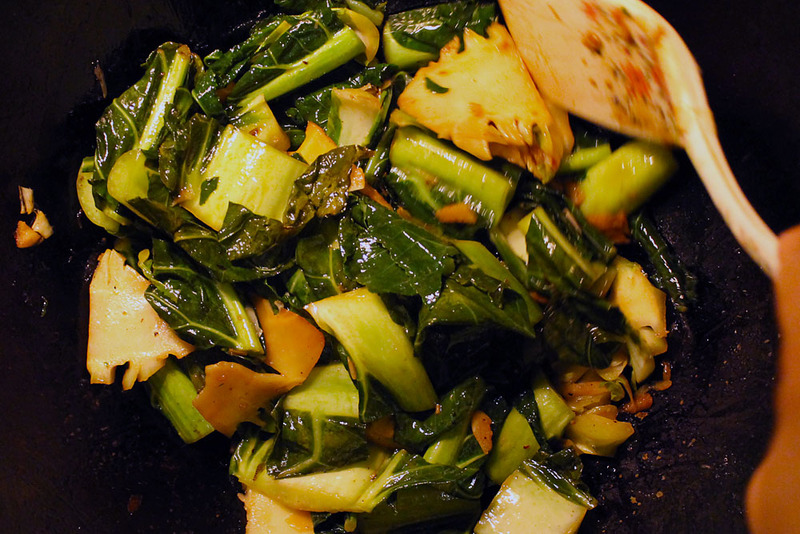 The greens seem similar to other kinds of greens that we’ve had such as turnip greens. 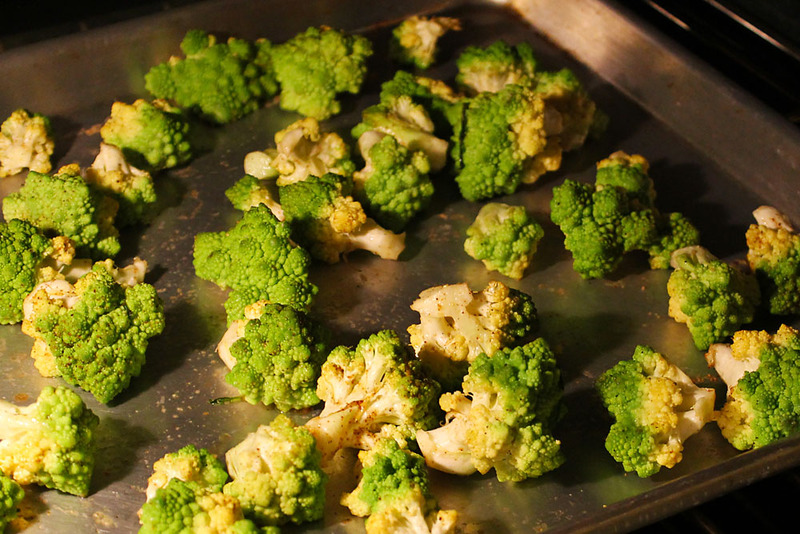 We had a great first experience with Romanesco! Leave us a comment if you’ve tried it or if you have a favorite recipe!